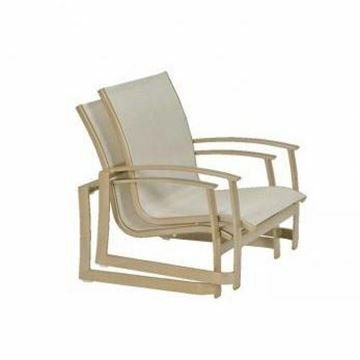 Commercial Sling patio chairs match our sling chaise lounges to really provide comfortable furniture for your swimming pool or patio. 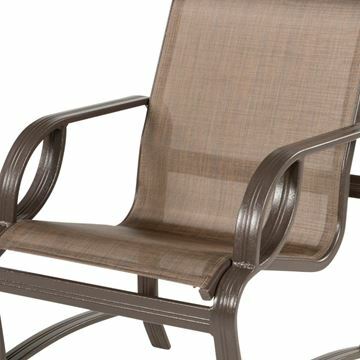 Add a luxurious sling style patio furniture to your pool area with popular Sling Chairs. 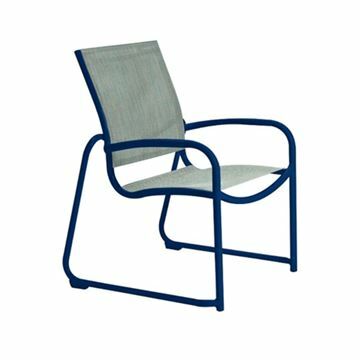 Commercial Sling Chairs are made from strong 100% aluminum and beautiful sling fabrics. 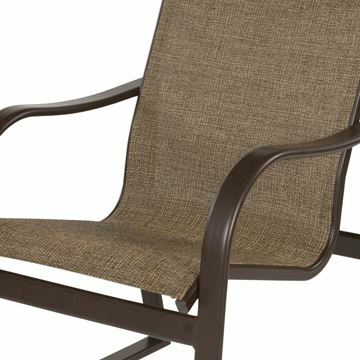 Sling pool furniture is the most comfortable furniture for suntanning, dining or see our great collection of finishes and fabrics. 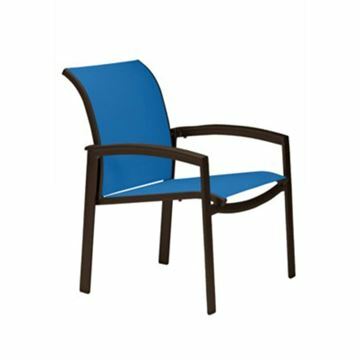 Buy quality commercial sling furniture at low prices. 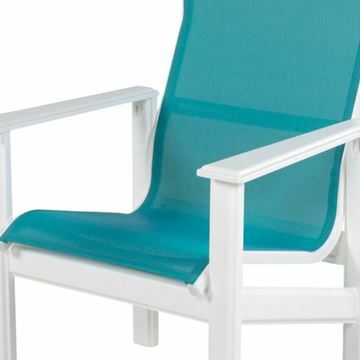 Ocean Breeze Dining Chair Fabric Sling with Stackable Aluminum Frame, 15 lbs. 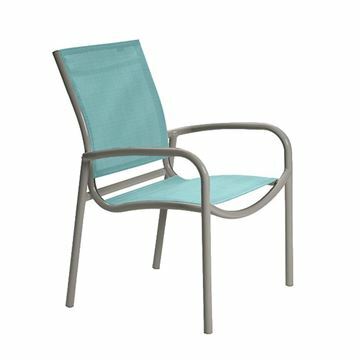 Anna Maria Dining Arm Chair Fabric Sling with Stackable Aluminum Frame, 14 lbs. 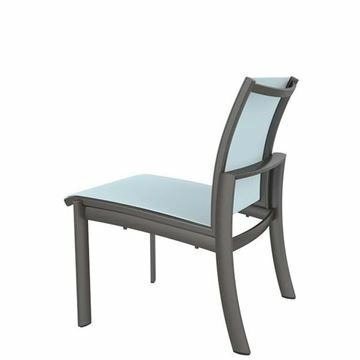 Neptune Dining Chair Fabric Sling with Stackable Aluminum Frame, 13 lbs. Delta Sling Plastic Resin Folding Armchair, Pool and Patio Furniture, 15 lbs. 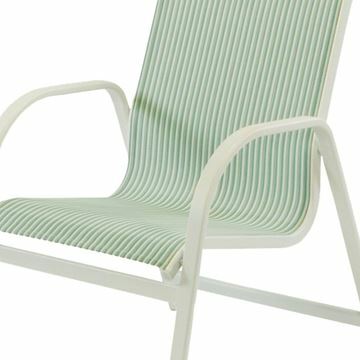 Promo Pool Furniture, Ocean Breeze Dining Chair Fabric Sling with White Aluminum Frame, 13 lbs. Sunset Sling Armless Barstool, with Reinforced Resin Frame by Grosfillex. 16 lbs. 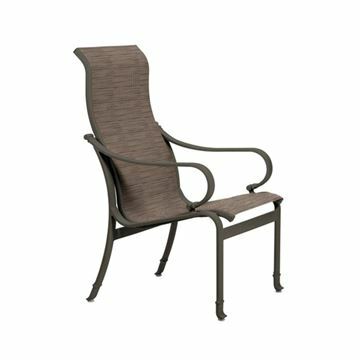 Sonata Dining Arm Chair Fabric Sling with Aluminum Frame, 14 lbs. 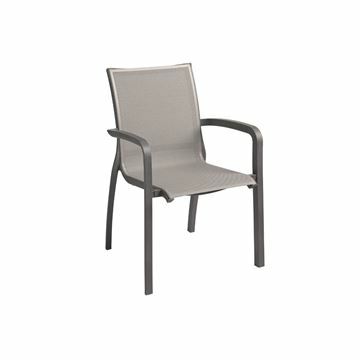 Skyway Dining Arm Chair, Sling Fabric with Aluminum Frame, 16 lbs. 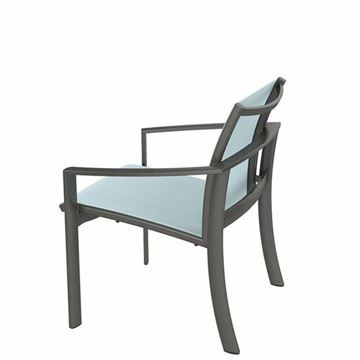 Corsica Dining Arm Chair, Sling Fabric with Aluminum Frame, 16 lbs. 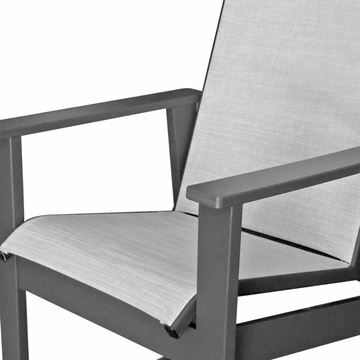 Monterey Dining Chair Fabric Sling with Stackable Aluminum Frame,13 lbs. Tropitone KOR Relaxed Sling Side Chair, Stackable, 10.5 lbs. 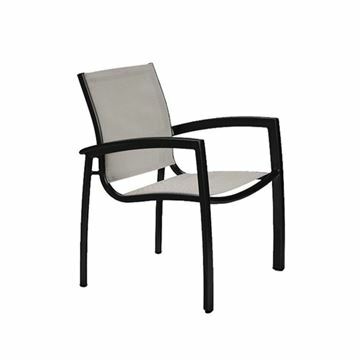 Tropitone Millennia Relaxed Sling Dining Chair with Stackable Aluminum Frame, 9.5 lbs. 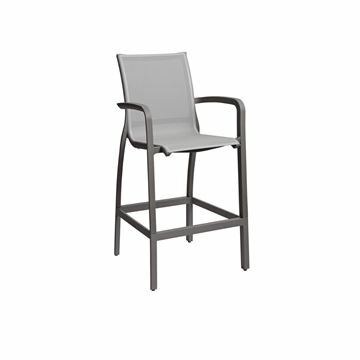 Eclipse Sling Dining Arm Chair with Aluminum Frame, 15 lbs. 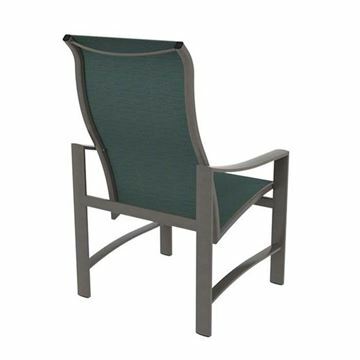 Madrid Dining Chair Fabric Sling with Aluminum Frame, 23 lbs. Sunset Sling Barstool, with Reinforced Resin Frame by Grosfillex. 24 lbs. Tropitone Cabana Club Sling Side Chair, Stackable, 7 lbs. Tropitone Millennia Relaxed Sling Sand Chair with Stackable Aluminum Sled Base, 8 lbs. 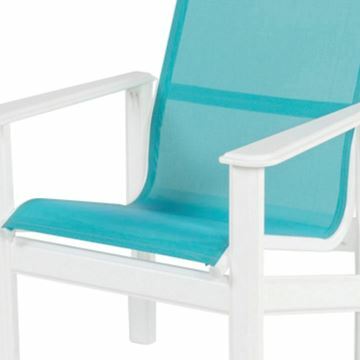 Tradewinds Dining Chair Fabric Sling with Aluminum Frame, Pool Furniture, 15 lbs. 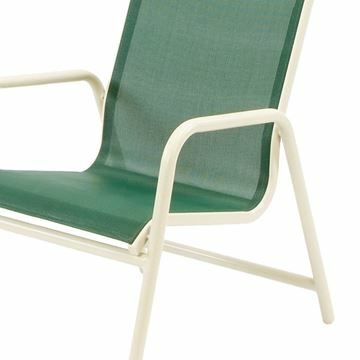 Tropitone Shoreline Sling Dining Chair, 11.5 lbs. Tropitone Mainsail Sling Sand Chair, Stackable, 11 lbs. 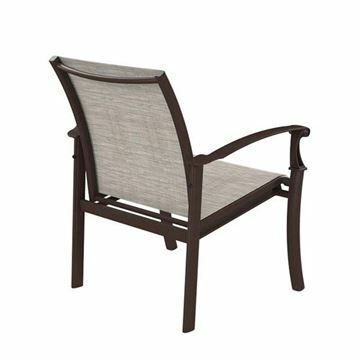 Malibu Armless Dining Chair Fabric Sling with Marine Grade Polymer Stackable Frame, 15 lbs. Sienna Dining Arm Chair Fabric Sling with Marine Grade Polymer Frame, 25 lbs. 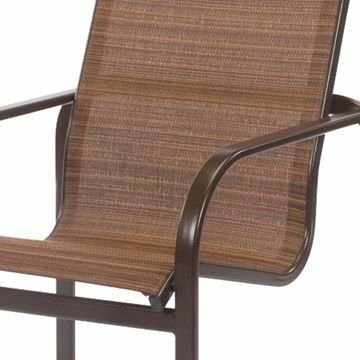 Tropitone Shoreline Sling High Back Dining Chair, 15.5 lbs. Tropitone Cabana Club Sling Dining Chair, Stackable, 8.5 lbs. Tropitone KOR Relaxed Sling Dining Chair, Stackable, 11.5 lbs. Tropitone Kor Relaxed Sling Spa Chair, Stackable, 11.5 lbs. Tropitone La Scala Relaxed Sling Sand Chair with Sled Base, 9 lbs. Tropitone Elance Relaxed Sling Dining Chair, Stackable, 11.5 lbs. Tropitone Elance Relaxed Sling Spa Chair, Stackable, 11.3 lbs. Malibu Dining Arm Chair Fabric Sling with Marine Grade Polymer Stackable Frame, 20 lbs. 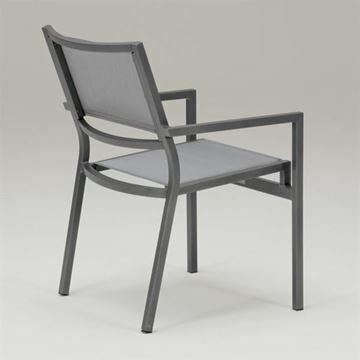 Tropitone La Scala Relaxed Sling Dining Chair with Aluminum Frame, 10.5 lbs. Tropitone Mainsail Sling Dining Chair, Stackable, For Commercial Pool Deck and Patios, 11.5 lbs. 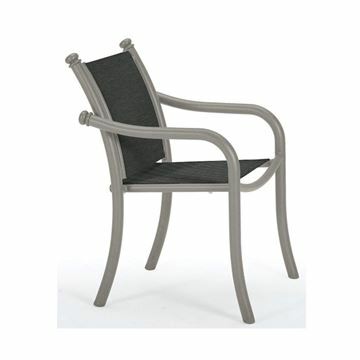 Tropitone Millennia Relaxed Sling Dining Chair with Stackable Aluminum Sled Base, 8.5 lbs. 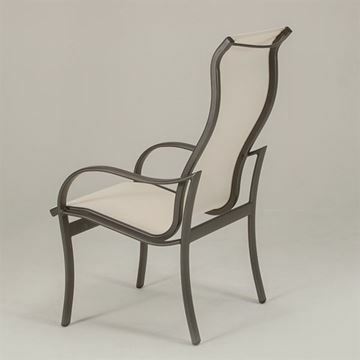 Hampton Dining Arm Chair Fabric Sling with Marine Grade Polymer Frame, 25 lbs. Tropitone Corsica Sling Dining Chair, 13 lbs. Tropitone Millennia Padded Sling Dining Chair with Stackable Aluminum Frame, 12 lbs. Tropitone Torino Sling Dining Chair, 13.5 lbs. 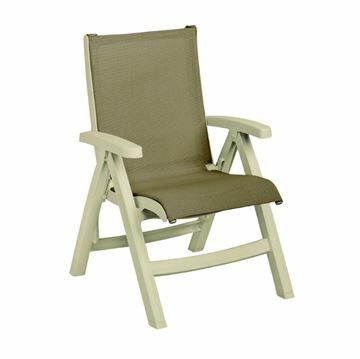 Malibu High Back Dining Arm Chair Fabric Sling with Marine Grade Polymer Stackable Frame, 21 lbs. Tropitone Mainsail Sling High Back Dining Chair, Stackable, For Commercial Pool Deck and Patios, 12 lbs. Tropitone South Beach Relaxed Sling Spa Chair, Stackable, 9 lbs. 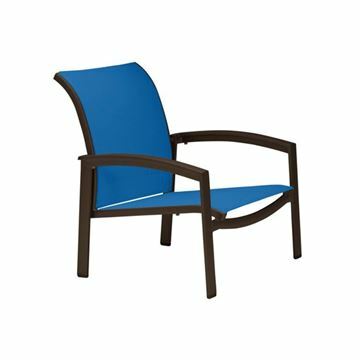 Hampton High Back Dining Arm Chair Fabric Sling with Marine Grade Polymer Frame, 28 lbs. 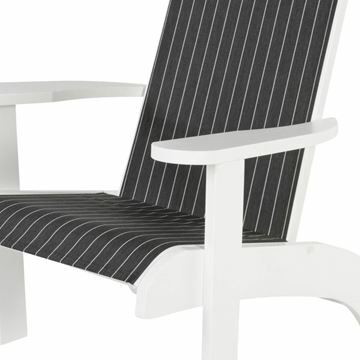 Sunset Sling Lounge Chair, with Aluminum Frame by Grosfillex. 26 lbs. Tropitone Torino Sling Patio High Back Dining Chair, 14.5 lbs. Sling Adirondack Chair with Marine Grade Polymer Frame, 34 lbs. Tropitone Cantos Relaxed Sling Dining Chair, Stackable, 14.5 lbs. Tropitone Spinnaker Sling Patio Dining Chair with Sled Base, Stackable, 11.5 lbs. 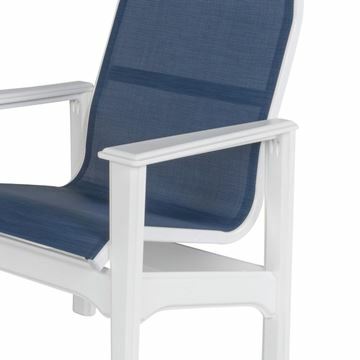 Cape Cod Sling Fabric Dining Arm Chair with Marine Grade Polymer Frame, 25 lbs. 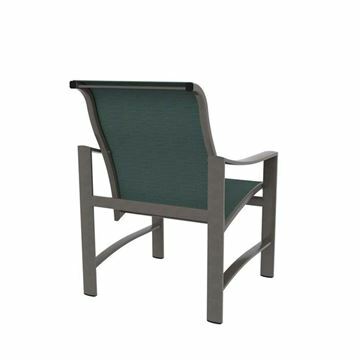 Sienna Balcony Chair Fabric Sling with Marine Grade Polymer Frame, 45 lbs. 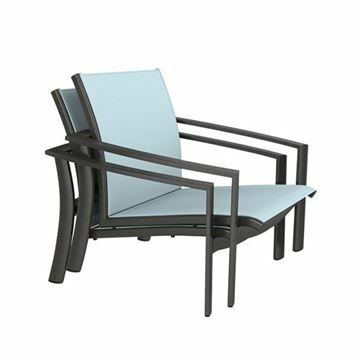 Tropitone Sorrento Relaxed Sling Dining Chair with Stackable Aluminum Frame, 9.5 lbs. Tropitone South Beach Relaxed Sling Dining Chair, Stackable, 10.5 lbs. Cape Cod Sling Fabric High Back Dining Chair with Marine Grade Polymer Frame, 28 lbs. 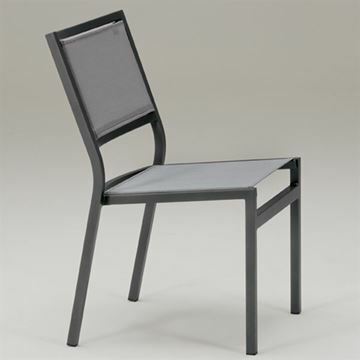 Tropitone Kenzo Sling Dining Chair with Aluminum Frame, 14 lbs. Reclining Sling Adirondack Chair with Marine Grade Polymer Frame, 35 lbs. Sienna Bar Chair Fabric Sling with Marine Grade Polymer Frame, 50 lbs. 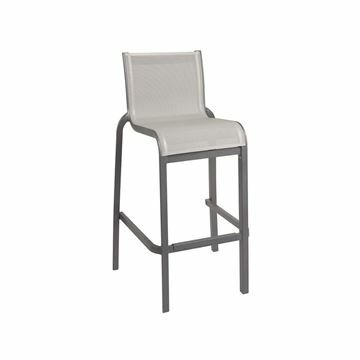 Tropitone Kenzo Sling High Back Dining Chair with Aluminum Frame, 18 lbs. 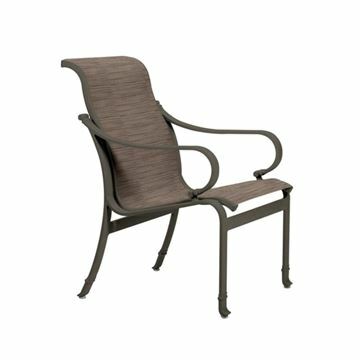 Tropitone Ravello Sling Patio Dining Chair, 18.5 lbs. Tropitone Millennia Padded Sling Dining Chair with Stackable Aluminum Sled Base, 13 lbs. Sunbrella stripes, solids, textures, and linens. Sunbrella features a stain-resistant finish. Spot wash by sponging with natural soap in lukewarm water. Rinse thoroughly with clean water to remove soap and then air-dry. For deeper stains or suntan lotion, use a fabric spot remover. Follow directions on the container. Rinse thoroughly with clean water, and air-dry. Solution-dyed acrylic does not promote mildew growth, however, mildew may grow on dirt and other foreign substances that are not removed from the fabric. To clean mildew stains, prepare a mild solution of one cup bleach, plus two cap fulls of natural soap per gallon of water. Spray on entire area and allow to soak in. Rinse thoroughly with clean water and air-dry.